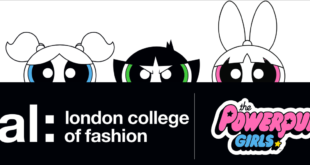 A pop-up Emporium inspired by The Powerpuff Girls has opened in London’s Soho district. The three-day immersive experience was unveiled by singer and presenter, Alesha Dixon, before officially opening its doors to fans today. Cartoon Network designed the Emporium as a celebration of girls across the world, where kids and adults will be invited to learn how to become a superhero in Powerpuff Girl style with a range of themed activities. “With The Powerpuff Girls gathering momentum and establishing a strong fan-base across the UK, we’re delighted to be offering kids and young adults a unique opportunity to engage with the super-powered Blossom, Bubbles and Buttercup beyond the small screen,” said Graham Saltmarsh, director of licensing UK and Nordics at Cartoon Network Enterprises EMEA. Inside, fans will be able to enjoy the make-up and nail bar complete with its own punchbag, a ‘Powerpuff Yourself’ area for guests to create their own tote bags, a colouring wall, snake and rabbit petting and a power science laboratory.